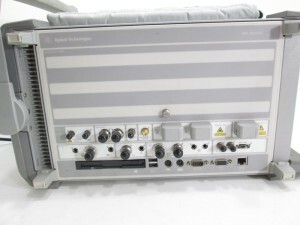 HP/Agilent E7495A Base Station Test Set with Power Meter used in good, working condition for US $1,700.00 with a 90 Day Hardware Warranty! 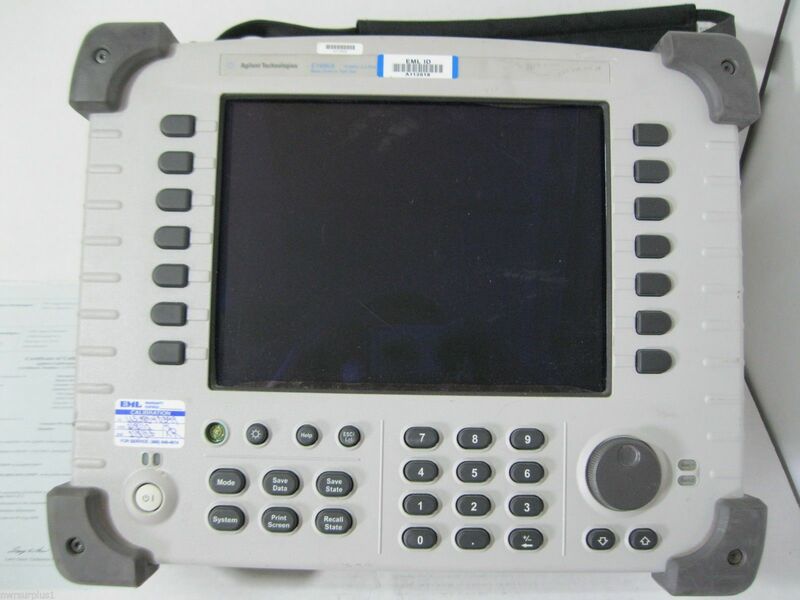 This listing is for (1) AGILENT E7495A BASE STATION TEST SET W/TRAVEL BACK PACK, 10MHz-2.5GHz. We do not have a power supply for this unit so we cannot power it on, but we have no reason to believe that it will not function to it’s full capabilities. For any questions you may have about this equipment, please call Chance or Louis at 503-391-8191 M-F 9-5 PST, or feel free to email NWRSURPLUS@NWRUSA.COM. For more information about this equipment, please click here. 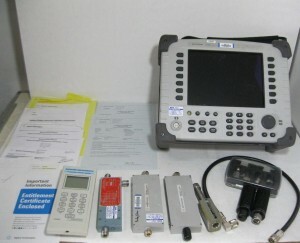 HP/AGILENT E7495A BASE STATION TEST SET WITH PWR METER for sale at Northwest Remarketing. 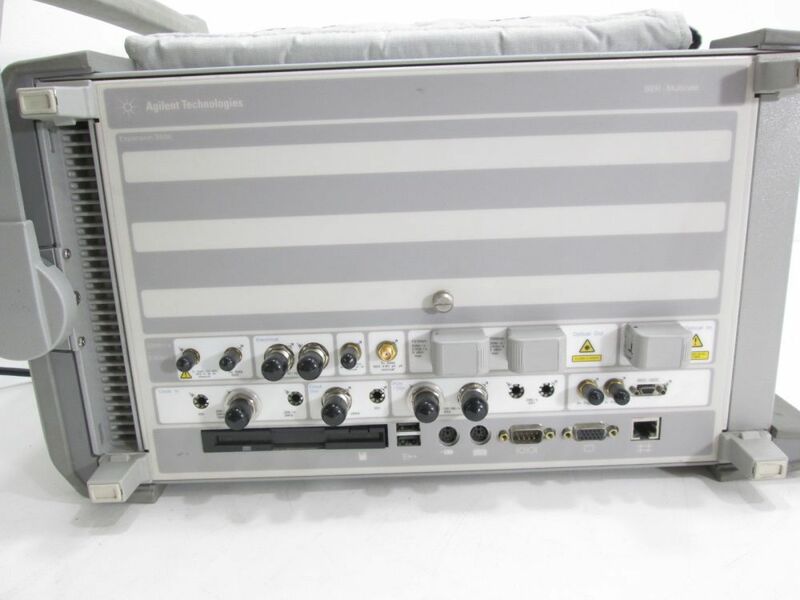 This entry was posted in Agilent and tagged Agilent, Analyzer, backpack, Base Station, cellular bandpass filter, complex modulation signal generator, E7495A, HP, northwest remarketing, nwrusa.com, Power Meter, terminations, Test Set, travel back pack on May 27, 2014 by nwrusa. 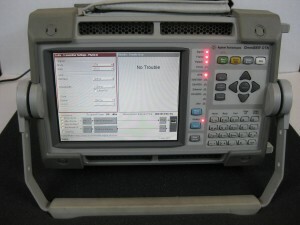 Agilent J7232A OmniBER OTN Jitter Analyzer in Stock! 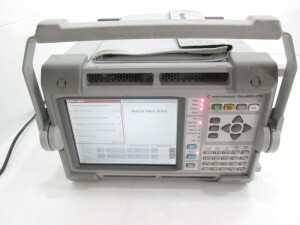 Agilent J7232A OmniBER OTN Jitter Analyzer used in good, working condition for US $9995.00 with a 90 Day Hardware Warranty! The Agilent OmniBER OTN is a powerful NGS (Next Generation SONET/SDH) & OTN tester with accurate, repeatable jitter measurements. The OmniBER OTN offers extensive test capability perfectly matched to the needs for testing new Multi-Service Platforms (MSPs). These devices require the latest NGS testing technology to ensure that they comply with the most recent standards. With G.707 high order plus low order Virtual Concatenation, G.7042 Link Capacity Adjustment Scheme (LCAS), G.7041 Generic Framing Procedure (GFP) and encapsulation of Ethernet Payloads, the OmniBER OTN will ensure your devices are standards compliant and help speed up time to market. The new Encapsulation Analyzer allows users to quickly gain faster insight to the source of problems by analyzing GFP frames down to byte level. Agilent J7232A OmniBER OTN Jitter Analyzer for sale at Northwest Remarketing. 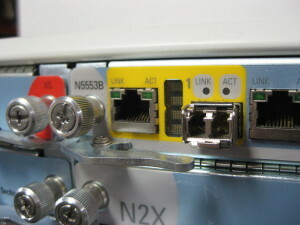 This entry was posted in Agilent and tagged Agilent, Analyzer, Analyzr, Communications performance analyzer, Encapsulation, Ethernet Mappings, J7232A, Jitter, LAPS, Next Generation, northwest remarketing, nwrusa.com, OmniBER, OTN, SDH Test, SONET, transmit, Virtual Concatenation, wavelength on May 27, 2014 by nwrusa. 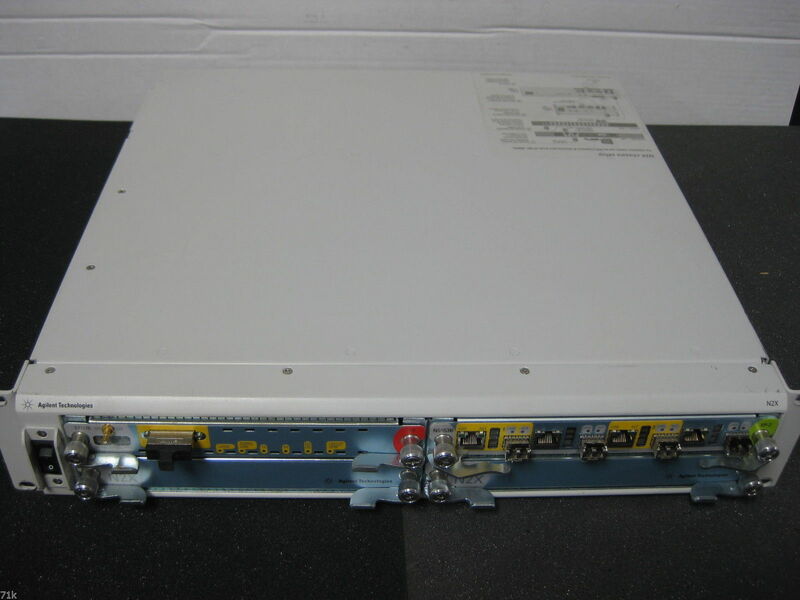 Agilent (now Ixia) N2X N5541 Test Platform w/ 2x N5553B 1000bT for US $19995.00 with a 90 Day Warranty! If you have any questions about this equipment please feel free to call me @ 877.650.4041. I am available to answer your questions 8-5 PST. Free Mainland US Fed Ex Overnight Shipping if you elect to buy it now!! Items ship same day on credit card transactions (contingent upon credit card address). 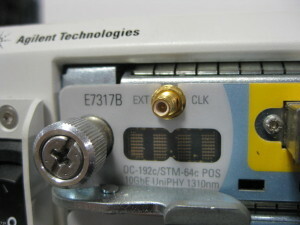 1 x Agilent N2X -4-port 10/100/1000 BASET 1000BASE-X (SFP) Ethernet XR-2 Test Card. Agilent N2X is the industry’s most comprehensive test solution for testing the development and deployment of network services for converging network infrastructures. Service providers, network equipment manufacturers (NEMs), and component manufacturers can verify service attributes of entire networks end-toend, while also isolating problems down to individual networking devices and subsystems. 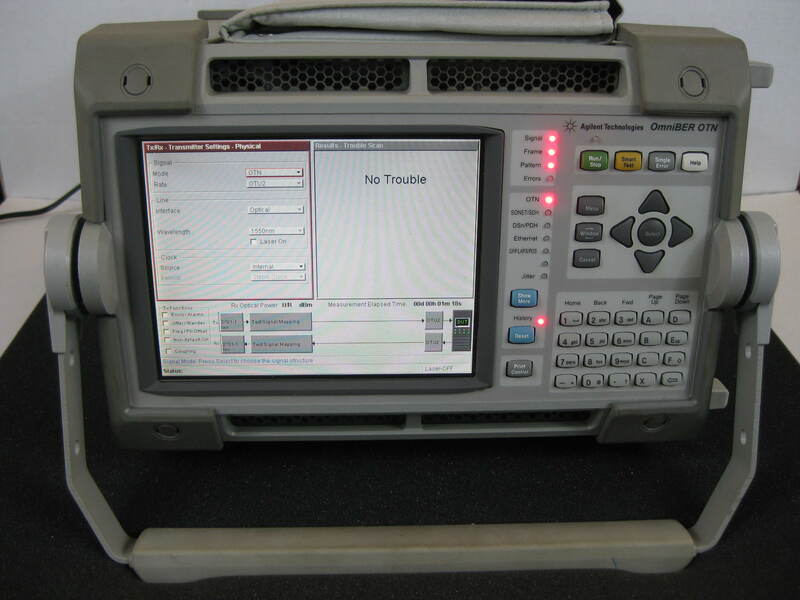 Agilent N2X has enhanced the functionalities of RouterTester 900, OmniBER XM, and SAN Tester and combined them into an integrated test solution. What distinguishes N2X is its ability to test leading-edge services such as metro Ethernet, MPLS L2/3 VPNs, Multicast, and SAN services over the latest converging infrastructures such as MPLS, IPv6, and next-generation SONET/SDH, simultaneously in the one test environment. For more information on IXIAs aquisition of the Agilent N2X line, click here. Agilent (Ixia) N2X N5541 Test Bundle E7317B UniPhy 10G OC192 N5553B 1000bT for Sale at Northwest Remarketing. This entry was posted in Agilent and tagged 1000bT, 10G, 192, Agilent, chassis, E7317A, E7317B, Ethernet, Ixia, Multicast, N2X, N5541, N5541A, N5553B, northwest remarketing, nwrusa.com, OC, OmniBER XM, port, router tester, SAN, slot, SX SFP, Test Bundle, test card, UniPhy on May 15, 2014 by nwrusa. 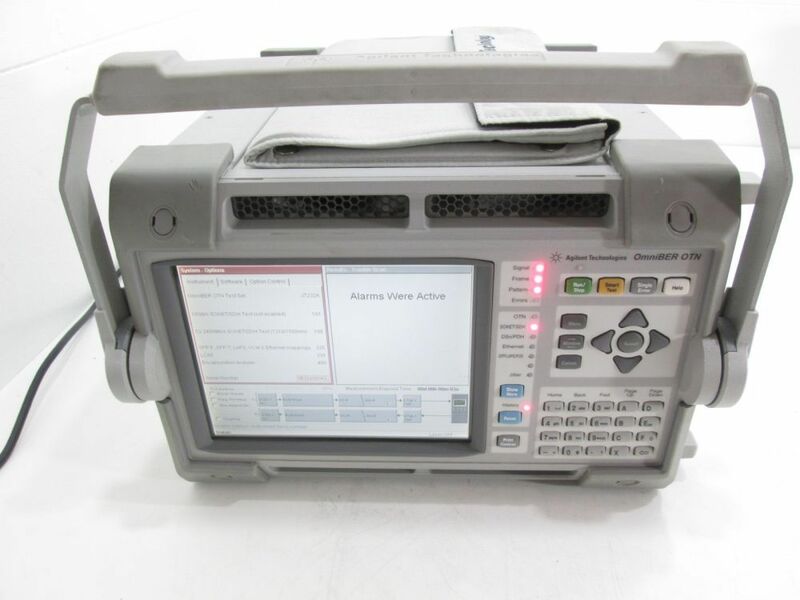 This entry was posted in Agilent and tagged 1550nm transmit wavelength, Agilent J7231B OmniBER OTN, Communications performance analyzer, Exchangeable optical connectors, J7231B-004, J7231B-106, J7231B-108, J7231B-112, J7231B-609, OmniBER on November 2, 2012 by nwrusa. Cisco AIR-CT5508-12-K9 Wireless LAN Controller with 12AP License in Stock!